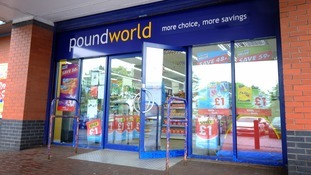 Poundworld has become the latest retail casualty on the British high street as it called in administrators on Monday, putting 5,100 jobs at risk. The budget retailer has appointed Deloitte to handle an administration after last-ditch rescue talks with R Capital broke down over the weekend. The company's founder told ITV News he is talking to Deloitte about taking on "200 plus" of its 335 stores.